The ultimate moist and crispy chicken recipe my family has been using for years. 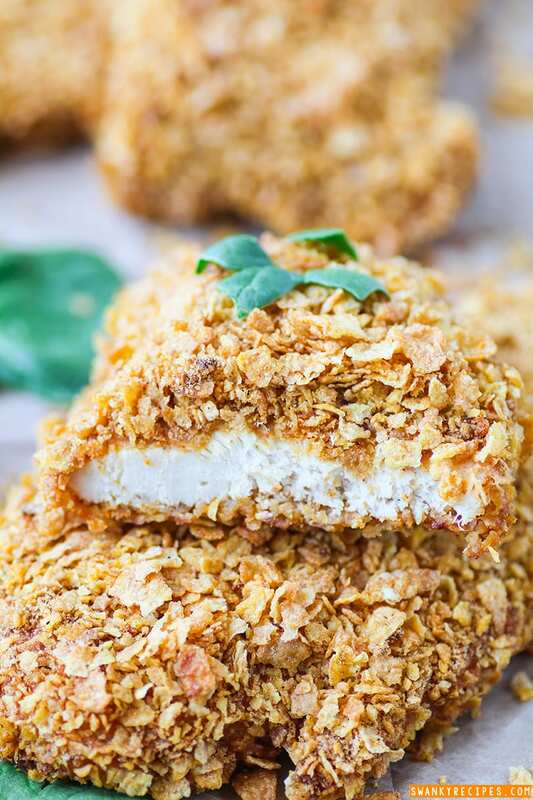 Chicken breasts marinated in seasoned sour cream and coated with seasoned and crushed corn flakes. This recipe can feed a crowd and can be served alone or with mashed potatoes, rice, broccoli or any other vegetable desired. I’m always looking for ways to add flavor to chicken and here is one of my favorites that I’m sharing today. 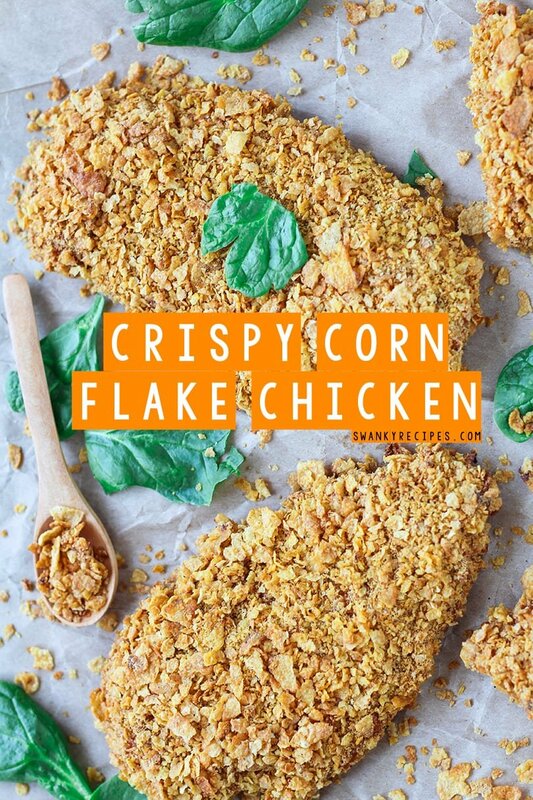 This corn flake chicken adds a lot of flavor and crunch without having to fry it. Fried chicken is a southern dish that is seen everywhere but is not always convenient to make. If you’re looking to cook something a bit healthier without sacrificing flavor and texture, this recipe is for you. Don’t settle for traditional crispy chicken that is deep fried. 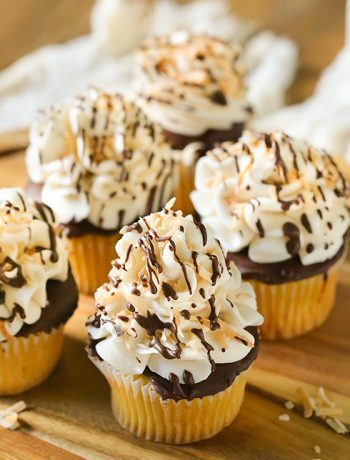 This recipe is a crown-pleaser and is easy to make. To make this chicken moist, I coated it in light sour cream and seasoned it. I marinated it for about an hour or two before coating it with seasoned corn flake crumbs. This flavorful and aromatic chicken recipe is the ultimate weeknight dinner. Cook it over the weekend and portion it out for the week with rice, mashed potatoes and a variety of seasonal vegetables. This is a fun way to serve chicken the whole family will love. If you’re looking for something extra to do with boneless chicken breasts, this recipe is a winner! Everyone loves this healthier alternative to serving chicken. This dish is packed with scrumptious flavors from being marinated. Mouthwatering chicken seasoned to perfection with cayenne, garlic, pepper and salt. Marinated chicken is amazing. The time that it sits in the refrigorater and soaks up juices and flavor makes all the difference once the chicken is baked. The chicken is moist and seasoned to perfection. I recommend marinating the chicken with this recipe however, it’s not a must and I have made it plenty of times without marinating. I start by cutting three large chicken pieces horizontally so I have 6 pieces of chicken. I usually trim any of the fat off as well then wash the chicken and pat dry. You’ll want to combine the sour cream, minced garlic, 1/4 teaspoon paprika, 1/4 teaspoon salt, 1/4 teaspoon salt and a few light dashes of cayenne pepper in a shallow bowl and mix well. I usually dip a spoon into the mixture to taste it and adjust the recipe accordingly if I desire extra taste that day. Lay the chicken into the dish, one at a time and coat the front the chicken well with clean hands or the back of a spoon. Place onto a greased baking sheet that can fit the all the chicken and be placed in the refrigerator to marinate for about 1-2 hours. Meanwhile, prepare the seasoned corn flakes. You’ll need a blender, chopper, rolling pin or some other way to crush these corn flakes. If using a blender or ninja, place the corn flakes in the device and turn on until flakes are mostly small with no large pieces. Once complete, pour crumbs into rectangular dish and season with crumbs. I also taste this and adjust accordingly to the taste I want. When the chicken is done marinating you’ll want to preheat the oven to 350 degrees F. Line a baking sheet with foil and grease it; set aside. Place chicken, one piece at a time in the seasoned corn flake dish and coat the top and bottom of the chicken. Press the crumbs into the chicken and continue coating. Place onto prepared baking sheet. Repeat until done. If desired, melt butter and drizzle over the top. Next, cover the baking dish with foil and place in the oven to bake for 1 hour. Uncover dish the last 25 minutes or so to allow the corn flakes to get crispy without burning. 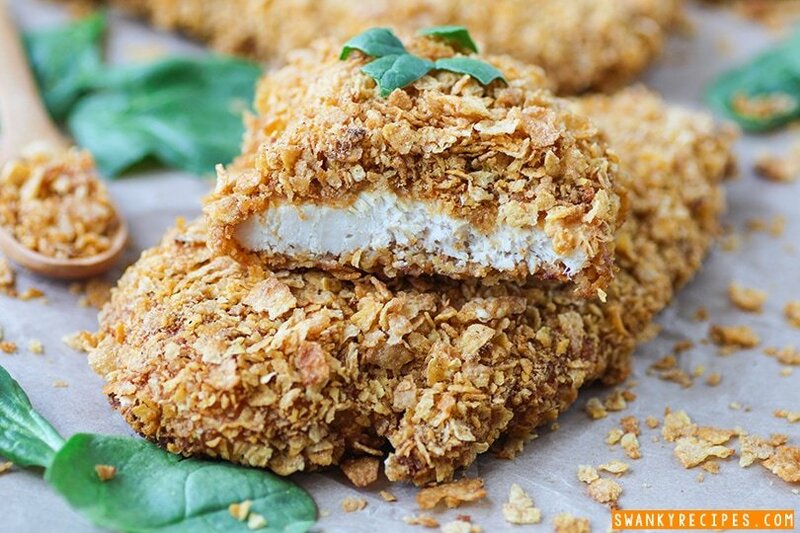 Chicken breasts marinated in seasoned sour cream and coated in seasoned corn flakes. This is the ultimate moist and crunchy chicken recipe. In a medium shallow bowl, combine sour cream, minced garlic, salt, pepper, paprika and whisk to combine well. Taste sour cream mixture and add cayenne pepper if desired. Adjust mixture according to taste and set aside. Prepare 1 to 2 pans with foil and olive oil or nonstick cooking spray for chicken to marinate on. To prepare chicken, cut each piece horizontally evenly. You should have 6 pieces now. Double layer paper towel on the counter top and Carefully wash chicken under cold water. and place 3 pieces on bottom then layer paper towel on top of that and place the other 3 on top, patting the chicken dry. Place 1 piece of chicken in shallow bowl and cover it well with sour cream mixture on both side, and place on prepared baking sheet, repeat until done and place in refrigerate for 2 hours. In the meantime, place cornflakes in the blender and blend for a few seconds until it's chopped into small pieces. Place crumbs in a long dish, add crushed RITZ Crackers, seasoning and mix well. Taste seasoning and adjust spices to taste. Once chicken is done marinating, prepare a dish that will fit chicken. Preheat oven to 350 degrees F. Prepare baking dish by coating with foil and use nonstick cooking spray to coat foil. 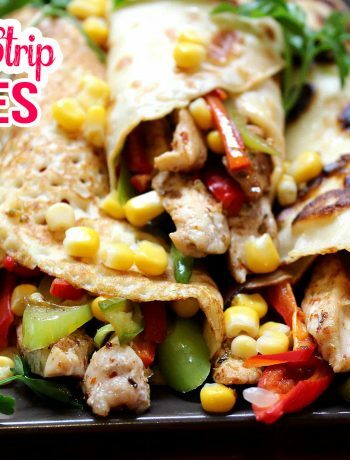 Place sour cream chicken in corn flake dish and coat both sides well, pressing corn flakes into chicken. Repeat until done and pour remainder of crumbs over chicken. Melt butter and drizzle over top, if desired. Cover with foil and bake for 1 hour. Uncover the foil the last 25 minutes of baking. *Chicken doesn't need to be marinated but tastes better and is moister. If not marinating, simply follow the next steps to prepare pan, preheat oven, and coat in seasoned corn flakes. This looks SO crunchy and amazing! 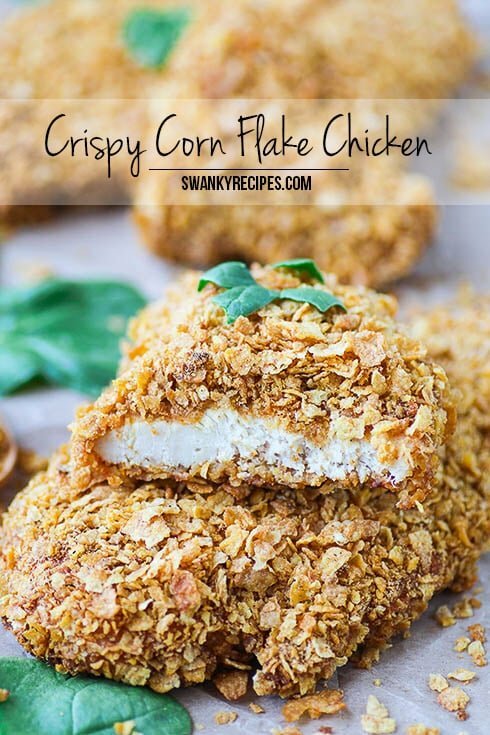 I’ve never thought to use corn flakes to make chicken crispy before! What a great idea! I just bookmark this page. I can’t wait to try this recipe. I think the kids will really like this. Thanks for sharing. Raven, it’s one of my favorites, Thanks! That looks so good. Im drooling just looking at it! Haha! Thanks for sharing. Love it! Oh this looks sooooo good. PInned it! This sounds amazing! I will have to bookmark it for when I am home to make! 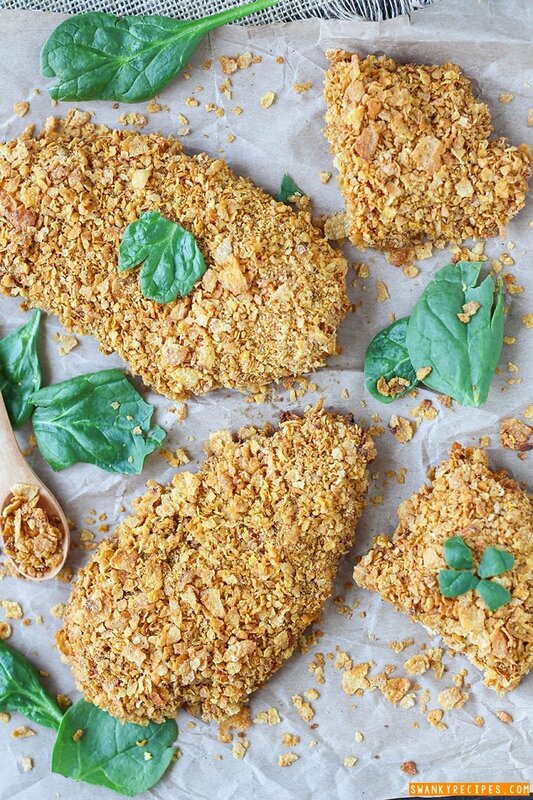 Cornflake crusted chicken is on my list of things I want to try! I’m going to give your recipe a go next week! Awesome! 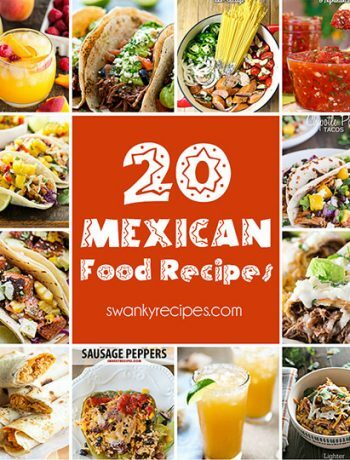 I’ll be trying this recipe in the next few weeks! Thanks for linking up this week at Merry Monday’s! Buttermilk will work and it sounds delicious, Thank you!